Although it may look complex, this design is really easy. The alternating light and dark windows create movement and invite a look inside. 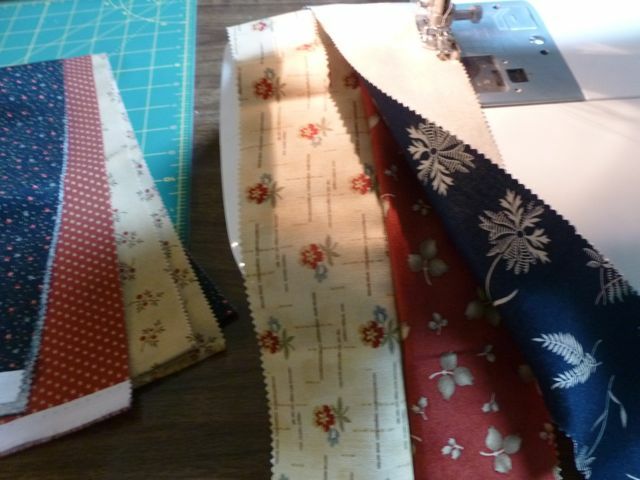 The garden print squares seem to advance and recede as your eye moves around the quilt. Placement of the lights and darks create the windows, so construction is key. I have broken it down into a unit, then you create multiples of that unit to make it easy. 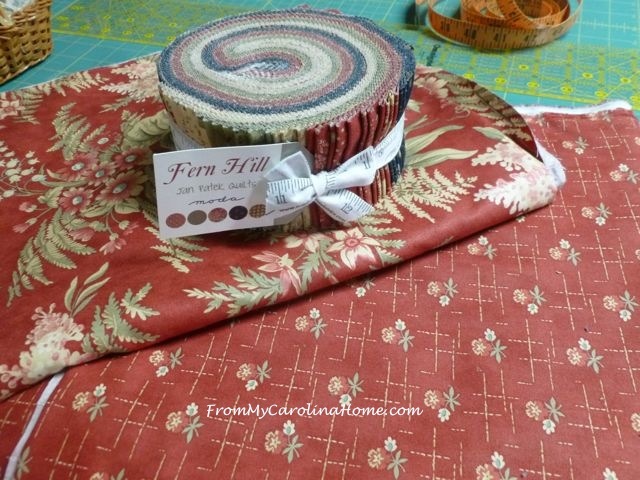 The Fern Hill fabric line creates a lovely, low volume, low contrast quilt. 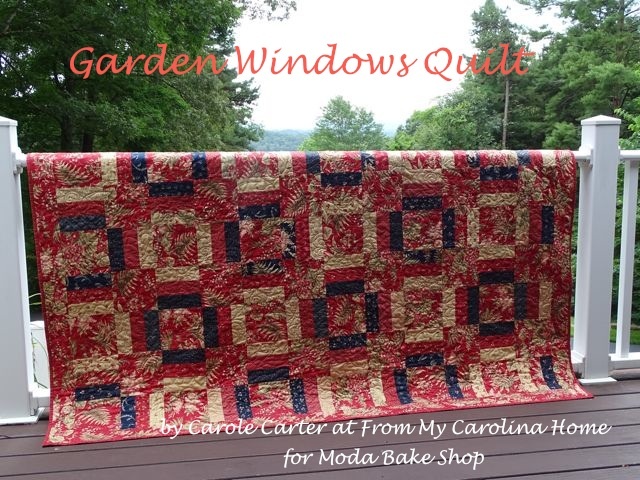 Visit my blog at FromMyCarolinaHome.com for more quilts with this window design. 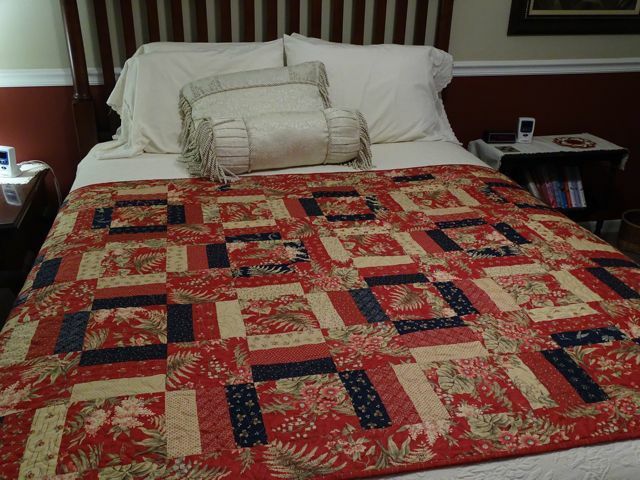 This quilt finishes at 53″ x 77″. 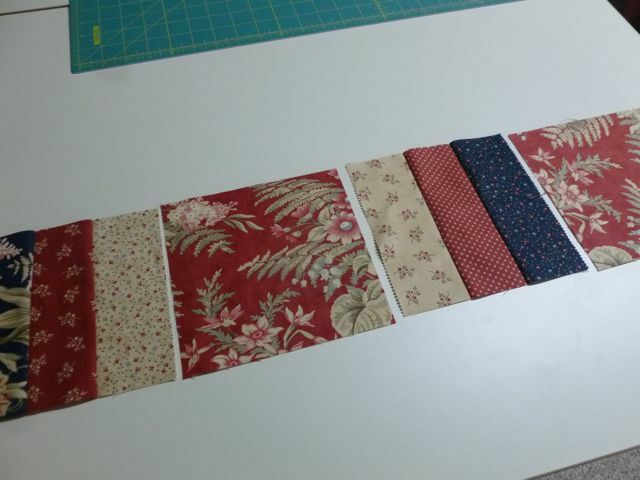 From the jelly roll, pull 8 strips each of navy, red and ecru. Sew the strips together in sets of three with the red in the middle so you have light-medium-dark orientation. 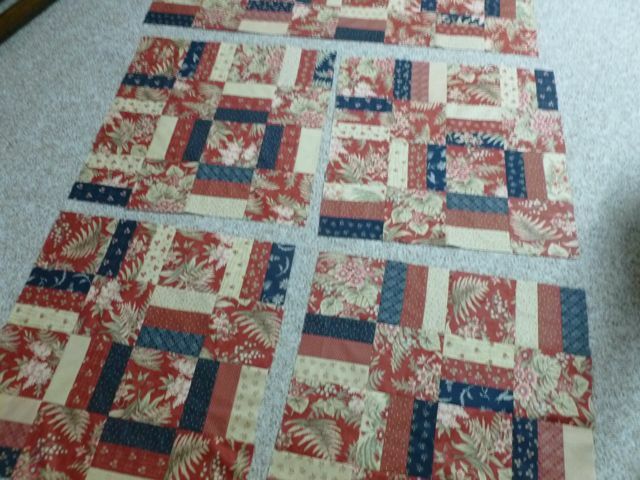 Cross cut the strips into 6-1/2 inch squares. 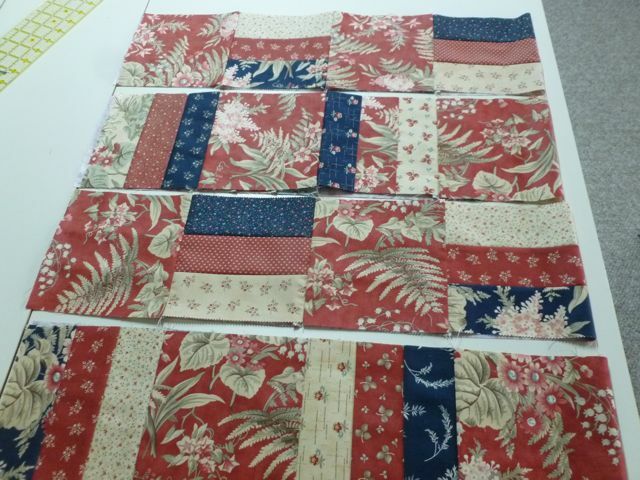 Mix up the squares to distribute the patterns evenly across the quilt. Cut 48 6-1/2-inch squares of the garden print. Arrange the strip blocks, alternating with the solid squares. Row one is arranged with the strip squares oriented horizontally, alternating the ecru on top with navy on top. A garden print square is first on the left side of the unit. 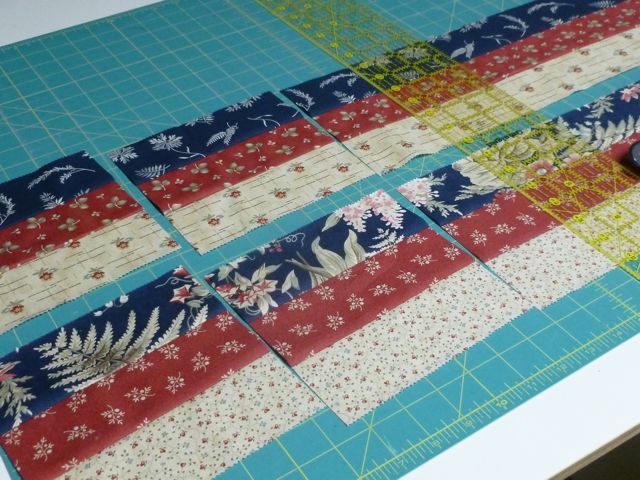 The second row has the strip blocks oriented vertical, alternating the navy to the right side (of the sewn strip square), then to the left side (of the sewn strip square) on either side of the garden print square. This set has the strip block first. 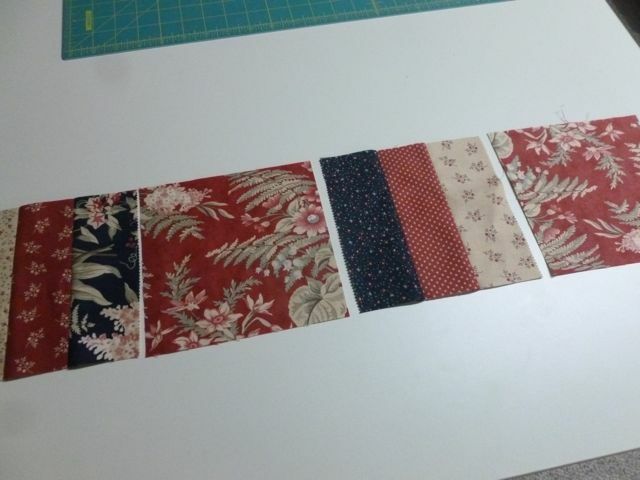 The third row is horizontal again, with the ecru on bottom, and a garden print square first. The fourth row strip squares are oriented with the strip squares vertical again, beginning with a strip square on the left, orienting the navy to the left and right. Be careful to place the colors correctly to form the windows. Note this time the ecru is on either side of the garden print square in the second spot. Four rows of four blocks make a unit. Assemble the units, orienting all of them exactly the same way so that the tesselating windows form between the units. 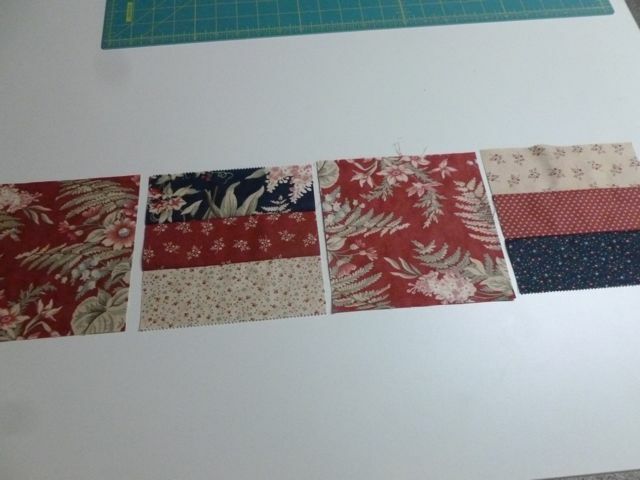 Add border of 3-1/2-inch strips in the garden print. 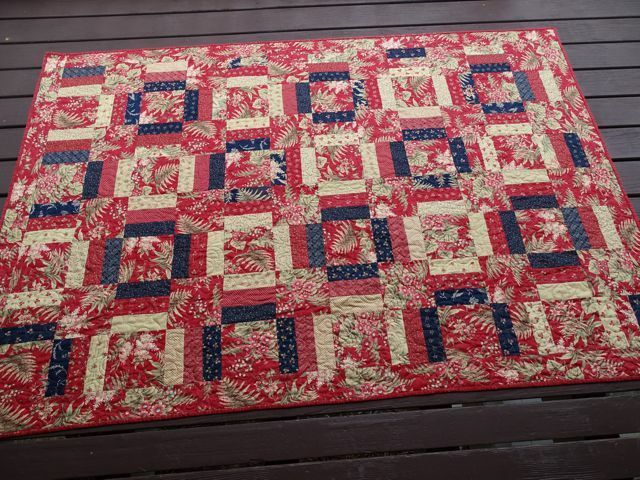 Quilt as desired, using the small print fabric as the backing. Bind as usual with the small print backing fabric. Then enjoy your new quilt! The low volume prints in this version create a serene feel. You can try it with higher contrast fabrics for even more punch. 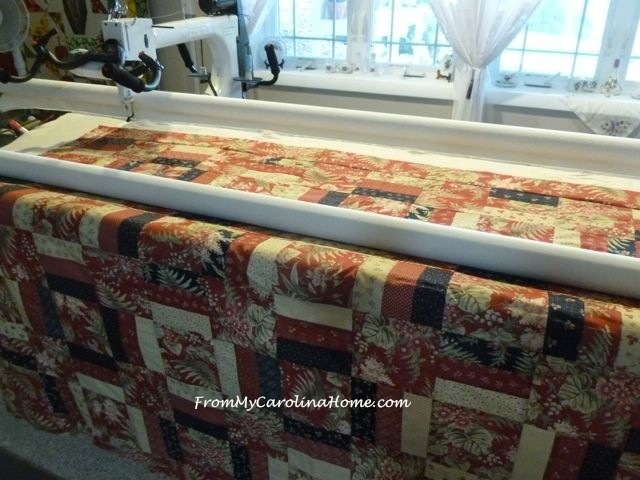 See more tutorials on quilting basics, projects, sewing and crafting on my blog, From My Carolina Home. Thank you. 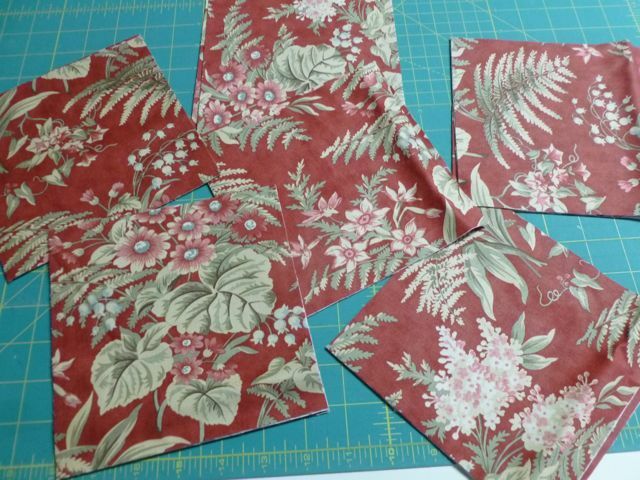 This entry was posted in Jelly Roll, Quilt and tagged Errata, Fern Hill, From My Caroline Home, Jan Patek. 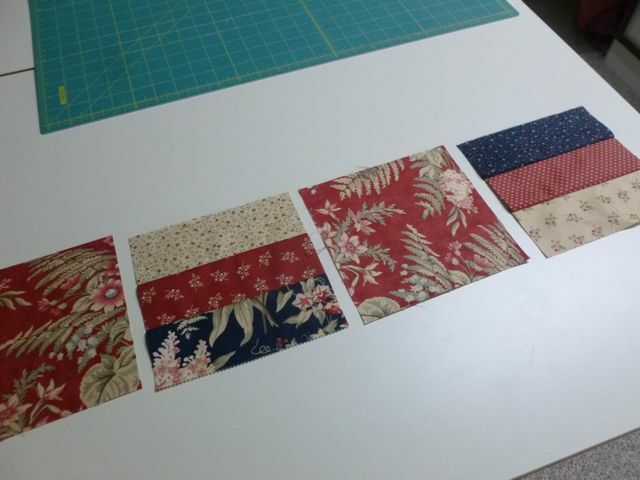 Looks great, but it says to purchase FQ bundle – should it be Jelly Roll? I was just getting ready to post the same thing…but saw you beat me to it. 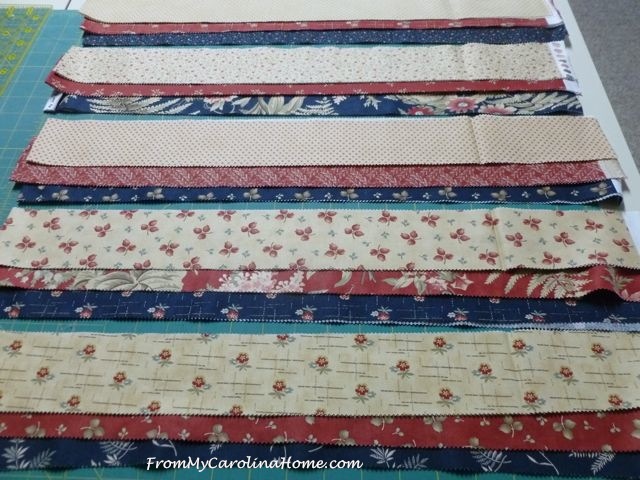 I would say it is a misprint….Carole shows a jelly roll in her photo ….I love her blog…it’s one of my favorites. With not enough hours in the day to read every blog I have to be selective….From My Carolina Home makes the cut each day. Thank you so much! And I have fixed the recipe. Beautiful! 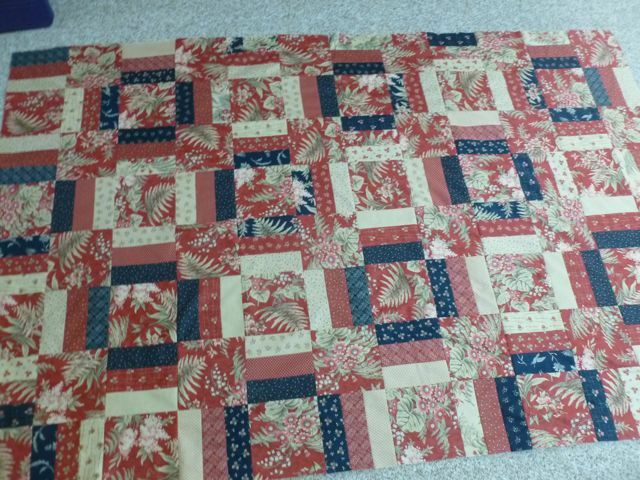 I do have a question, it says fat quarter bundle but shows a jelly roll. I do however know it is a jelly roll. Thanks for sharing! Thank you, Susan and Cevi! I don’t know how that happened, but I have fixed it. It’s a lovely quilt, but doesn’t it look just like a Warm Wishes? I had to research your question as I was not familiar with that pattern. Evie is right, the pattern is made a bit differently, it isn’t scrappy and did not use a jelly roll, but the final design is the same. It was published by Quiltmaker magazine 16 years ago, before I began quilting. I guess it goes to show that everything old is new again! Thanks for your input Evie. I am not familiar with the pattern you referenced. 16 years ago is definitely before my quilting time. Carole has created an original design using her own method and we are so happy to have her talent here on the Moda Bake Shop. Love this…..indeed reminded me of Warm Wishes. I love your version and I hope to make it sometime soon. 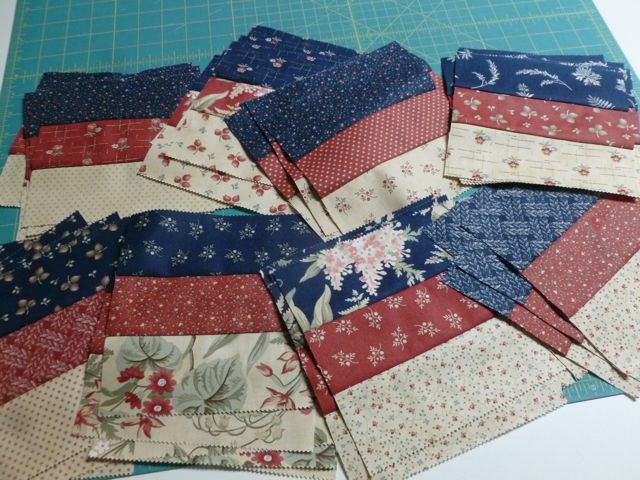 My Carole Carter folder in my Quilt Patterns document folder is growing with your wonderful designs!! Thank you! I just wish I had known about Warm Wishes before this was published. Yippee. I have loads of jelly rolls. This pattern is different from Warm Wishes in the construction of the striped block. The Warm Wishes pattern uses two strips cut 2″ wide and one strip cut 3″ wide for the striped block. This pattern uses three 2 1/2″ wide strips making it jelly roll friendly. Your email spam blocker prevented me from answering, although I’ll try again. The other Garden Windows is on my blog, link at the bottom of the post.